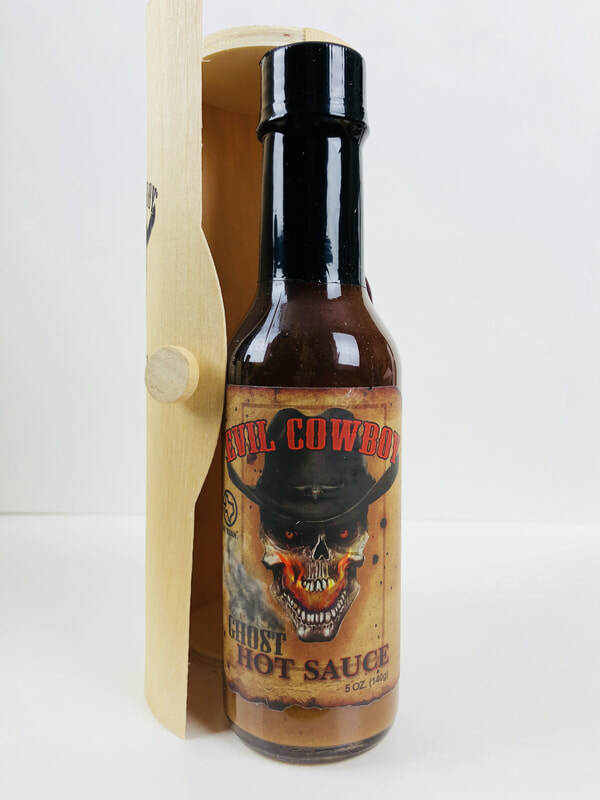 EVIL COWBOY from TEXAS TRIANGLE GROVE.. As soon as you crack the top on the bottle of EVIL COWBOY the entire room comes alive with the aroma of smoked hickory. This sauce has a LOT of flavor. 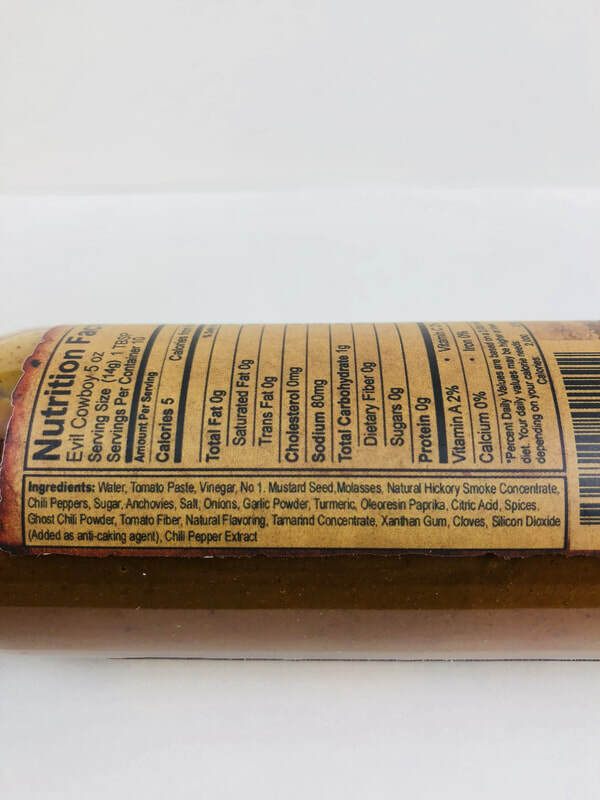 The first flavor you get is the smoke, but then there's the mixture of tomato, mustard seed, garlic, chili pepper, turmeric and a hint of vinegar that will rush your taste buds. 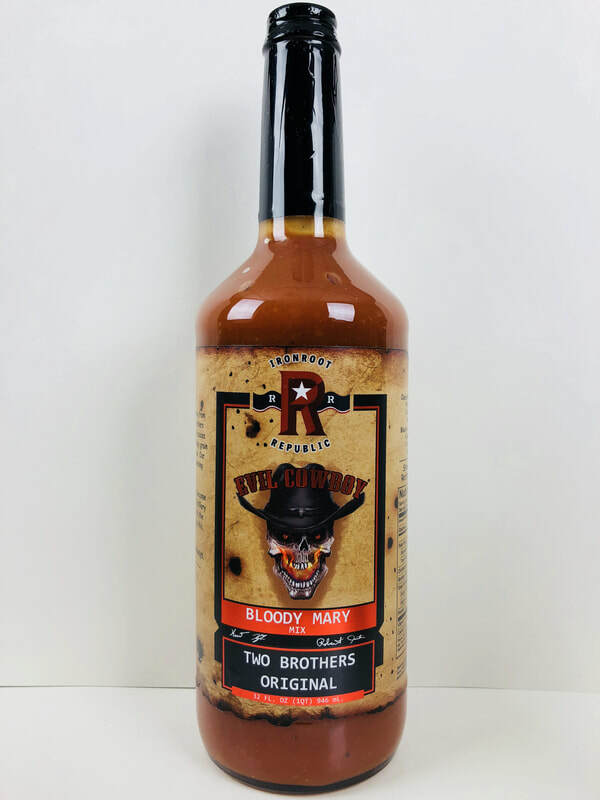 It's like a hot sauce and a smoky non sweet BBQ sauce with a fantastic mix of heat coming from the ghost and chili pepper extract. I mixed this into hamburger meat before grilling and it was amazing! You would definitely love this added to your pork and beans, any grilled meat or anything that could use a smoky flavor. This also made an awesome dipping sauce mixed with some ranch dressing. Your gonna love it! This sauce ROCKS! 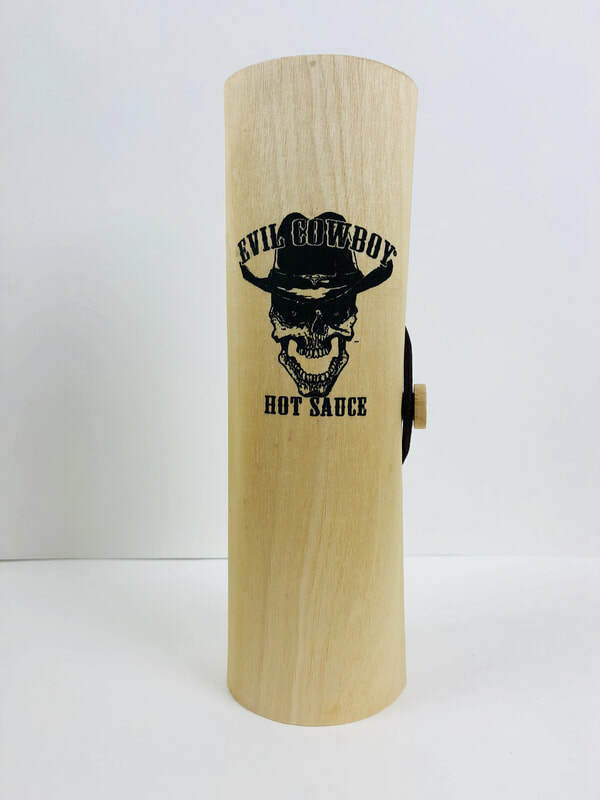 EVIL COWBOY BLOODY MARRY MIX from TEXAS TRIANGLE GROVE.. New from Evil Cowboy comes an amazing smoky Bloody Mary mix with just enough spice to kick up your drink. If you love Evil Cowboy hot sauce, like I do, you will definitely love this Bloody Mary mix! The same smoky flavor you find in the their hot sauce is front and center mixed with a delicious tomato juice and spices. Not only do I enjoy drinking this straight out of the bottle, its a great mixer with vodka, celery sprigs and crispy bacon. 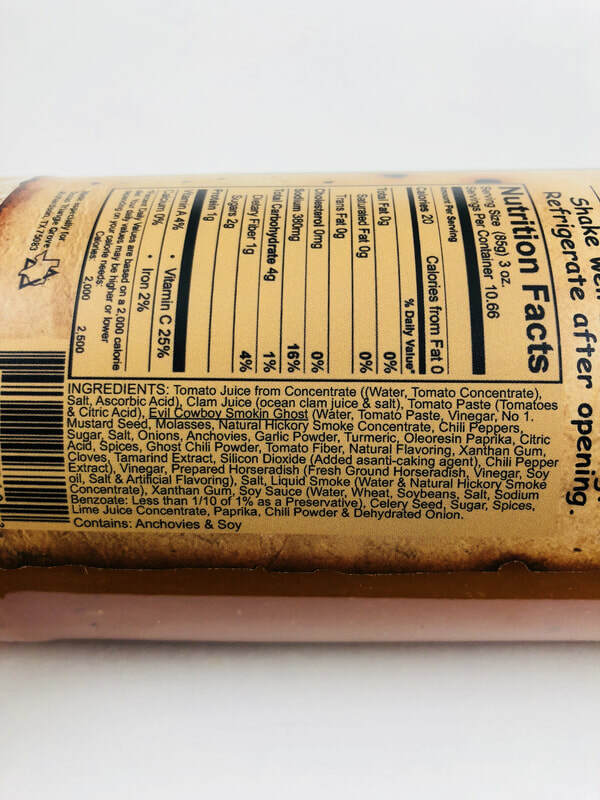 This mix would make an amazing marinade for chicken, ribs or steak, mixed in with your meatloaf, hamburger, or added to soups. 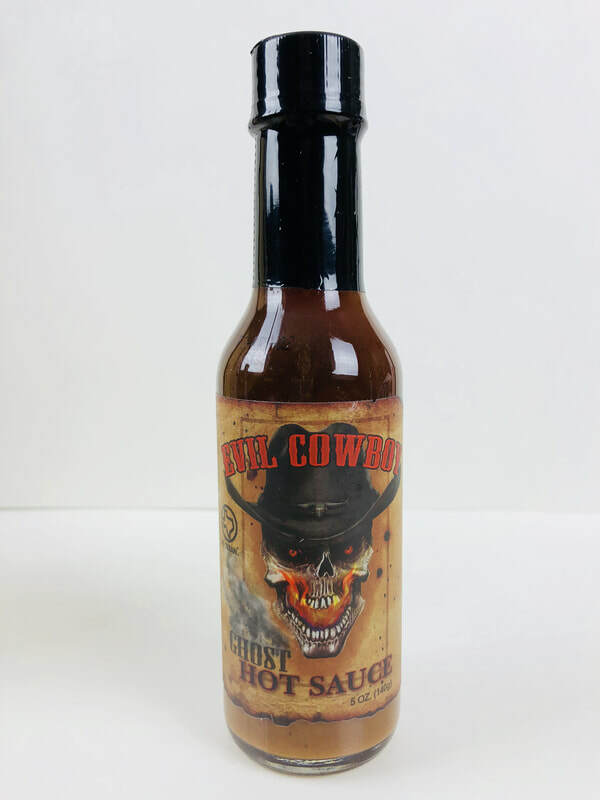 If the heat needs to be a little spicier for your liking, just add some Evil Cowboy Hot Sauce to bring up the heat level without changing the flavor. Loving this!